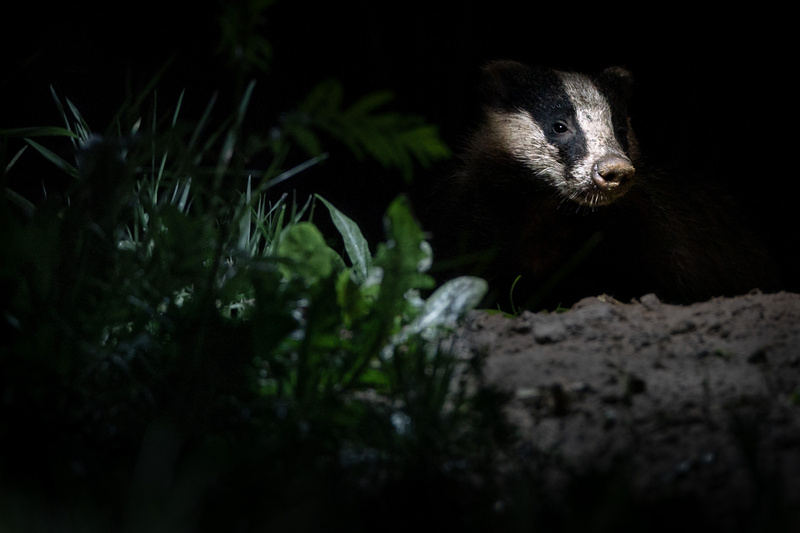 A badger comes out of the dark near an observation hut in The Netherlands. These animals have been accustomed to a lighted spot a few meters away from the hut. We had to wait for a couple of hours but it was totally worth it! Thanks Lee! It was definitely an exciting evening sitting dead quiet in the hut and having these guys pop up.